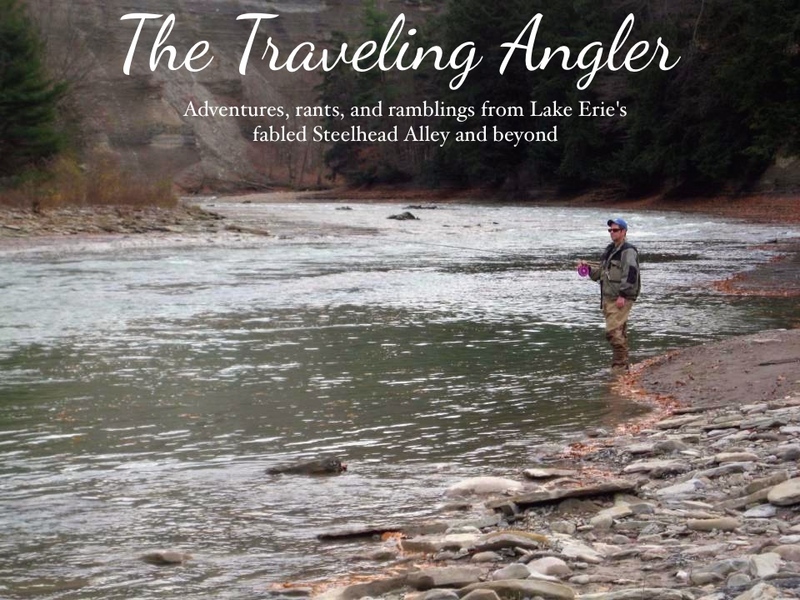 Misery and fall steelheading often go hand in hand here on the Alley. Dealing with warm weather, low water, crowds and not enough fish to go around. After work I often stop at the lower Rocky and watch the bucket fishermen sit on their buckets and stare for hours at their floats sitting in stagnant water. I see others fishing the faster water eagerly waiting for the first fish of the season. But, I'm not there to fish. Instead I getting ready for a run. Over the past year, I dedicated myself to staying in shape. Just a couple days ago, I turned 42 years old. I made through my midlife crisis and a difficult divorce. I went from 225lbs down to 190lbs. Everytime out I run a little further. It was 2 miles, than 3, and now I'm up to 6 miles. In my 20s, the fastest I ran was from the car to the beer store when it minutes from closing. That was the dirty decade for me. I smoked, drank and fruits and vegetables were things that my body rejected. It's the first week of October as I wake. I squint through the blinds and and it's still dark. The temperature over the past week has dropped into the 50s. As I walk outside, I'm greeted by a nip in the air. The high for today will be in the low 50s so I wear a fleece jacket. The interstate is a lonely place and for one of the rare times, I don't have the stereo playing. I just listen to the hum of the tires. I exit the interstate and head into town. I drive down what is left of the main street. It's your typical small rust belt town - a lot of closed stores. Once upon a time, it would of been a bustling place. Today, it nothing more than a shell of its former shelf. I pull off the road and began to dress. I start to see the first glimpse of first light. I walk along the trail towards to the lower part of the river. It's hard to tell what the river looks like. I get to the spot and I can hear the faint sounds of moving water. I wait for more light and I start to feel antsy. The feeling becomes worse when I see a couple of head lamps walking down river. I know actually where they want to fish and I fear I'll get low holed. I shuffled down to make sure I had the prime spot. I start to fish in the hopes that I hook into something quick. I work the lumber along the bank and the lights get closer and I can hear the splashing as they walk. 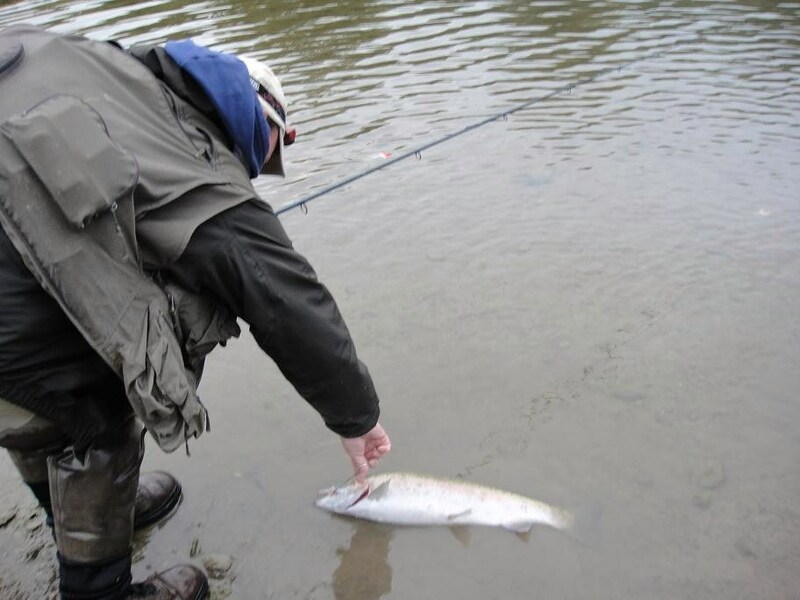 I've had several bad experiences with anglers during the early season. They get close enough that I can hear one them call out "any luck?" I squint to see how they are and reply "Nothing yet". They turned out to be a couple of decent anglers who asked if they fish near me and they do it above me. I feel a sense of relief and there are some people left would respect another angler's space. We began to chat and I found out later that they knew a couple of my friends. The sun has broken the horizon and I can see the water is off color. Being so close to the lake, we watch the water level go up and down. I watch the float gradually come to a halt when it hits the slack water. Eventually the water starts to recede and the current starts to move faster. In a jar are my precious eggs. These are eggs from last season and I'm down to three packs at home. I'm waiting for my supply of fresh salmon eggs from Michigan. I use a hot pink sac and cast out towards the lumber. I pull back the float and ride the bubble line. About 15 yards down, I watch it tap and go under. I set the hook and feel the hard run of a fresh fish. The fish erupts from the water and cartwheels through the air. The charges downstream and I quickly apply the pressure. The fight is intense but brief. The fish near the gravel bank and the two others nod with agreement - a fine fish. It's a large hen, that is completely silver with the steel blue back. She more than likely came in a few days as the river cooled enough. She and the others wait in the lower stretches for the next rainfall to make the migration far upstream. I release her and feel her bolt for the deeper water. The other anglers and me hook into several more fish. After several hours it became evident that the fish were not in the mood. I left and thanked the anglers for an enjoyable morning and wished them luck. I scouted upstream and in many spots I didn't see any fish and several anglers walked back to their cars disgusted. The river was far too low and any fish to be this far upstream. On the way back home, I stop by a couple of other rivers and it was the same - low, low and lower. The weather forecast for the upcoming week shows no signs of rain. Tomorrow, I spending a rare Sunday at home and looking forward to going to a restaurant in Lakewood with my girlfriend. My other favorite thing beside steelheading is I'm a foodie. I hate eating at chains and I prefer to seek out the small and quaint diners and restaurants scattered through out Northeastern Ohio. One place I've wanted to dine at is the Melt Bar and Grilled in Lakewood. It's considered one of Cleveland's most hip joints to eat at. The restaurant has been featured on the Food Network's - Diners, Drive-Ins and Dives and Man vs Food. The place has received rave reviews for the creative grill cheese sandwiches. People often wait more than 2 hours to get a table at the place. I've been trying for months to go, but the long wait has discouraged me. We debated whether to go because I thought it would be packed as the Browns were playing. It turned out that the place was busy but not packed. I guess Browns fans can't go 30 minutes without eating or they would rather consume cheap beer at Harry Buffalos. The hostess told me the chairs at the bar are fair game, so I decided to wait. After 25 minutes, I watched an older couple getting ready to leave. I strategically got myself in position to grab the two chairs. As soon as they got their fat asses off, both me and my girlfriend swept in. 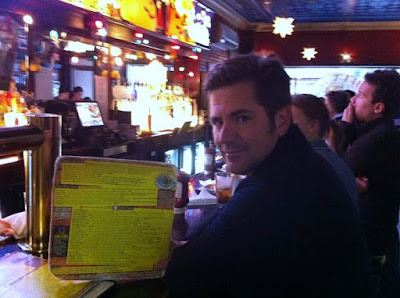 We were handed the menus and they were glued to the back of a old Kinks album and it was full of delicious grilled cheese sandwiches and I couldn't decide on what to get. After debating I picked the Hot Italian. It was loaded with chicken, grilled salami, honey ham, pepperoni, sun-dried tomato pesto, roasted garlic and provolone. 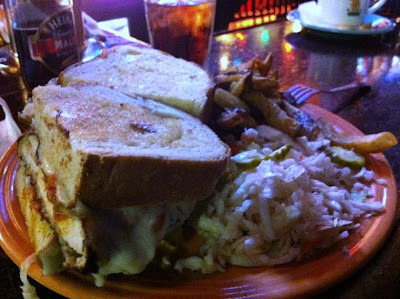 The sandwich was gut busting at best as it came with fries and slaw. It turned out to be one of the best grilled sandwiches I've had. It was 4 loud belches in my book and I would definitely recommend to everybody. Hoping to get out Sunday AM. 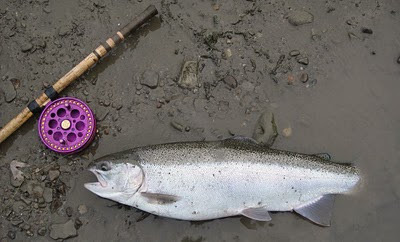 Any suggestions for Chagrin River spots at this stage of the season. Thanks. I was thinking below Daniels. I'll let you know how it looks. Bad morning from the start. Late out of the house and broken rod killed it for me. Chagrin was active up at he mouth from talking to those who got out early. Spoons were hitting early 4-5 AM. I heard and saw nothing myself at power lines. That is a wicked looking sandwich!! !